HPi Series | KANTO KONGOKI INDUSTRIAL CO.,LTD. 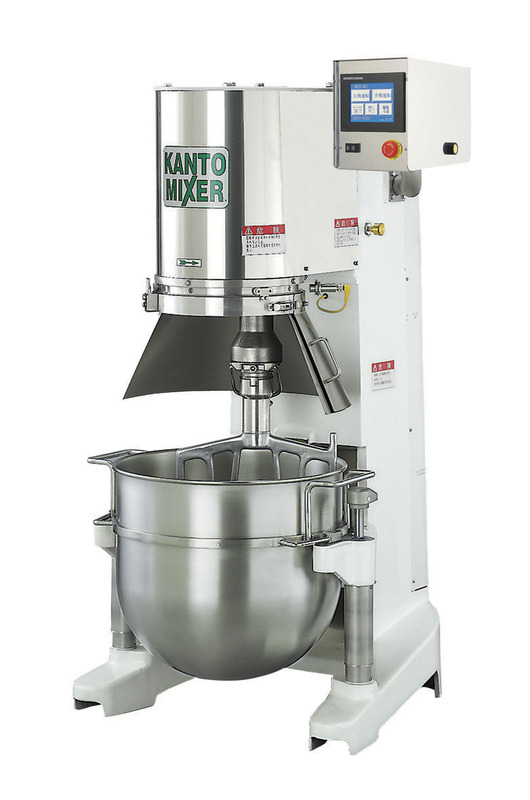 Mixers in this series are compact and multifunctional as standard. This versatile series is applicable for use from shops to factories. Smooth and low noise running is available by invertercontrol. 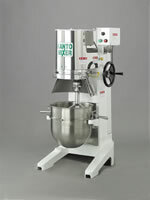 Various mixings are available by changing attachments. 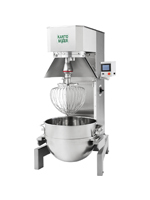 Full covered safety guard prevents foreign matter fromentering products during mixing. Smooth and low noise running is available by inverter control. Full covered safety guard prevents foreign matter from entering products during mixing. A touch screen type panel allows excellent operational performance. Everything in the product zone and parts of the bowl holders are stainless steel and the main body of the mixer has a stainless steel finish. The touch screen type panel allows better operational performance than SS-251/501. 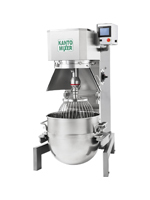 Removal of the attachment is not required while detaching the bowl from the mixer, allowing better operability and efficiency. Copyright© 2005-2014 KANTO KONGOKI INDUSTRIAL Co,Ltd All right reserved.